At Whisky Boys HQ we were pleased to receive a bottle of this new Haig to taste and review. 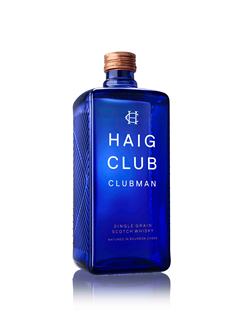 Our first thought was that we liked the bottle, it has better feel and look than the original Haig Club. Following on from the Haig Club, brand partners David Beckham and Simon Fuller on the 3rd of August launched Clubman. This new Single Grain Whisky from the House of Haig will be on sale this month at price around the £25.00 mark. This dram has been created to be drunk neat or as a cocktail and especially with cola, but here Nicola and I will be tasting it neat and with water. This Single Grain from Cameronbridge has been matured exclusively in American ex-bourbon casks, but is has no age statement. Now it’s time to open the bottle and have a wee taste. Colour…Pale sunlight through the morning mist. Nose…An interesting nose where vanilla is in charge, wicker baskets and maybe some buttered popcorn. Taste…Thornton’s Special Toffee, vanilla, a slight hint of sweet liquorice and butterscotch. 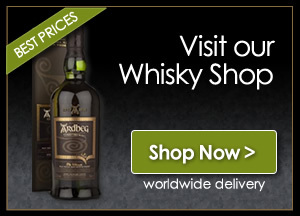 A Single Grain and at only £25.00 it certainly wont break anybody’s bank. As Nicola and I only added water during our tasting we have yet to try it in cocktails. We thought this was a very thin whisky but maybe in a cocktail or with a mixer it may work. We have to give a big thanks to Kara, a Senior Account Manager with Fleet Street Communications for sending us this new Haig.